Hope those who celebrated had a very merry Christmas! As for my Christmas at home - I could regale you with charming stories about our 15-year-old dog almost pooping in the house. But no. No, not today. 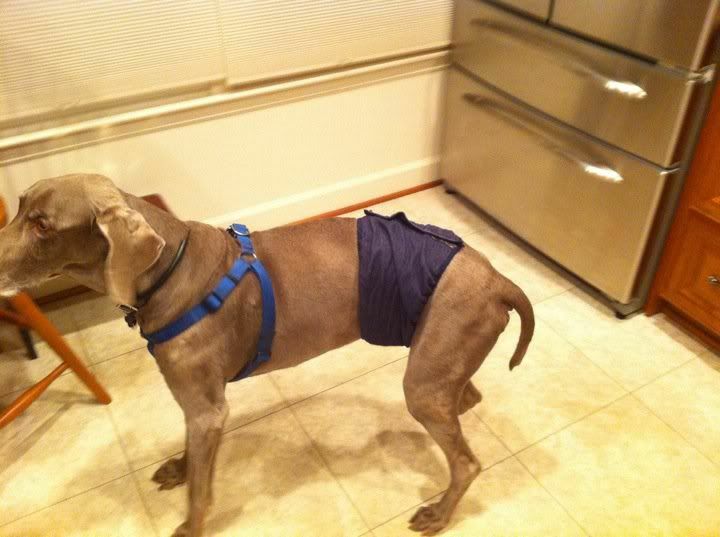 Here's the dog wearing his denim doggie diaper. Oh, Hunter. The cruelties of age. You are still hanging in there, though! Doing great! Except for the sleep pooping. 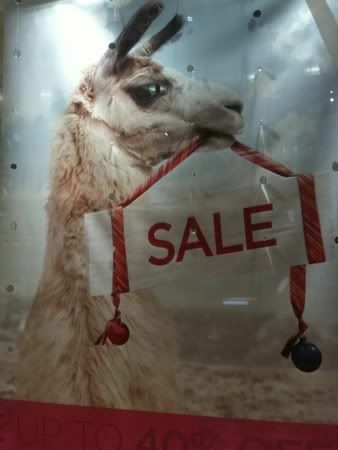 Christmas is llama season for Banana Republic advertising, and as a llama/alpaca fan, that makes me happy. 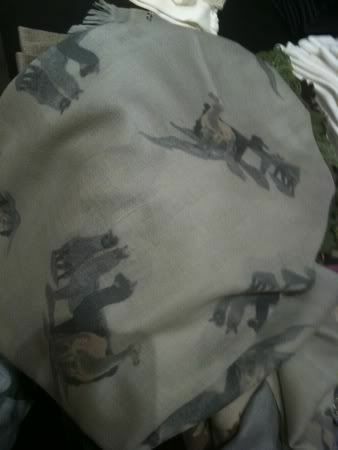 I feel like I should like this scarf, just because it has llamas on it. My Photoshopskillz... 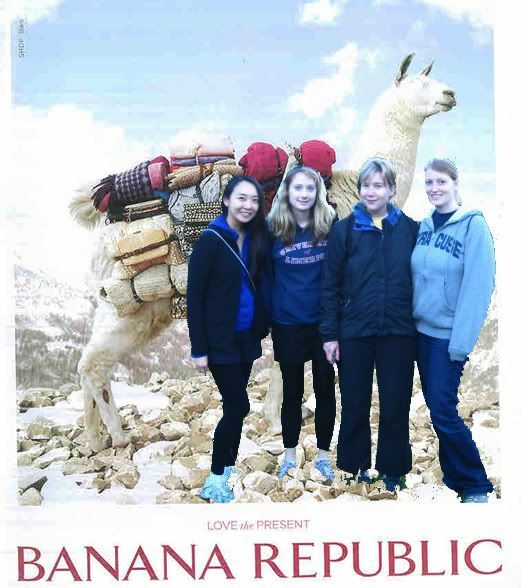 So what if the llama looks giant compared to the girls in my Peru vacation clique. Posted in Travels and tagged with Peru. December 28, 2010 by Adele Chapin.